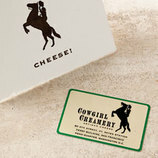 The Blancafort creamery was founded in 1984 by a young family that wanted to swap life in the city for a rural lifestyle. They began raising dairy goats to provide milk for their own family and quickly began making curd and fresh cheeses for their local community. As their business grew, they traveled the country, learning from other cheesemakers and returning home to make more cheese. 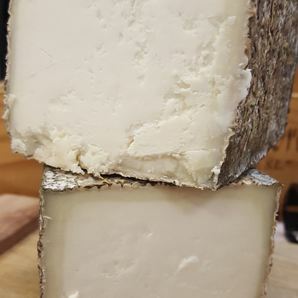 Blancafort was one of the pioneers in creating the aged goat cheese Garrotxa, and continues to make Catalonian originals under the guidance of the second generation of owners. 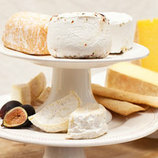 An original creation, Ferrus (pronounced Fair-roose) is a small brick of aged goat cheese with a dense, creamy paste. It offers aromas of citrus and herbs, and its complex flavor profile ranges from lemon cream to wild thyme and porcini.